Merryman House Domestic Crisis Center is committed to Saving, Building and Changing the lives of those affected by domestic violence; women, men and children. We are the only certified domestic violence program in the Purchase Area Development District, which serves Ballard, Calloway, Carlisle, Fulton, Graves, Hickman, Marshall, and McCracken. Adopt a Duck. Save a Life. 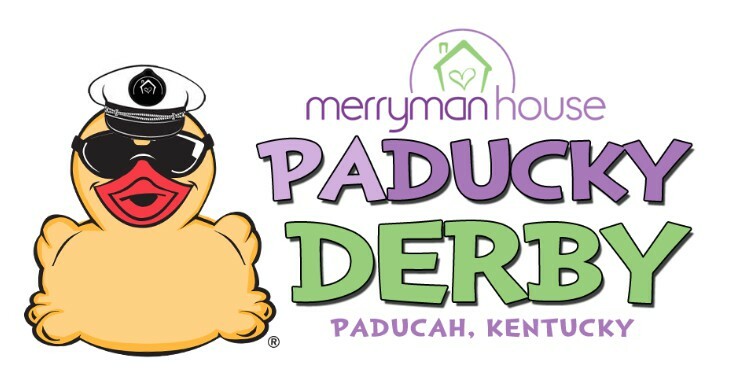 The Merryman House Domestic Crisis Center will hold its annual Duck Race on April 27, 2019 at 3:00 p.m. at Noble Park Pond in Paducah, KY. Come out and cheer on your duck! All proceeds from the PaDucky Derby will our mission to meet the needs of victims of intimate partner abuse and their dependents as they strive to live free of violence in their home. Each duck adopted will go directly to saving, building and changing the lives of those affected by domestic violence. To adopt a duck, visit our official PaDucky Derby race page.